The Company has decided to expand its product portfolio in the fruit juice segment by lining up Cappy to be produced this summer. The Coca-Cola Company announced the official launch of its new fruit juice under the name of "Cappy". The Company has decided to expand its product portfolio in the fruit juice segment by lining up Cappy to be produced this summer. Cappy already exists in other countries around the world under the name of Minute Maid and Cappy Selectii. The company has pumped new investments of more than 100 million Egyptian pounds in the production of the new 100% made in Egypt fruit juice product. To produce Cappy juice, the Coca-Cola Bottling Company of Egypt invested in new production equipment and created new jobs with a labor capacity of 500 to 550 workers, in addition to indirect employment which exceeded 2000 workers. Most of the tasty fruits are bought from local farmers, according to season, to enjoy our country's goods. The company seeks to double investments during the next three years, by enhancing the infrastructure of factories, introducing new products as well as developing human resources. 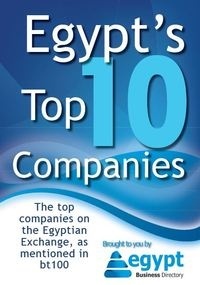 Given the political situation, many companies remain cautious to invest in Egypt. However, The Coca-Cola Company continues to invest heavily in Egypt and the launch of the new Cappy juice brand is a prime example of the Coca-Cola system's faith in Egypt's ability to grow. "The Company has invested more than $200m over the past few years. The company has also renewed the concentrate plant which exports to 46 countries for 90 million Egyptian pounds last year," said Ghada Makady, Public Affairs and Communications Manager, Coca-Cola Egypt.